Regiment/Catrawd: 5th London Rifle Brigade. Service Rank and Number / Rheng gwasanaeth a rhif: Private No. 9755. 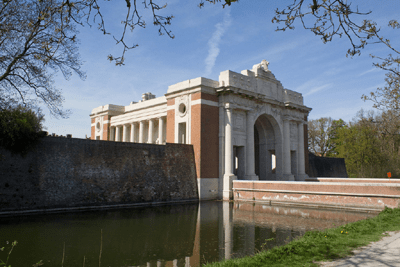 Military Cemetery/Memorial / Fynwent milwrol: Menin Gate Memorial, Ypres. Ref No Grave or Memorial / Rhif cyfeirnod bedd: Panel 52 and 54. Killed in action during the Battle of St. Julien, Ypres, Belgium on Tuesday 27 April 1915, aged 20 years. William Reginald Minshull Percy was born in Southport, Lancashire, England on 4 February 1895. The 1901 Census shows that William who was 6 years of age and his father, John Henry Percy aged 46, a Schoolmaster, were living as Boarders at 30 Egerton Street, Prestwich, Lancashire. By 1911, William now aged 16 was a Student at Epworth College, Rhyl, Flintshire, North Wales. On leaving he obtained employment with the Prudential Society, at first locally and then in London. William’s parents, John and Catherine Percy were now living at ‘Bod Meurig’, Bath Street, Rhyl. 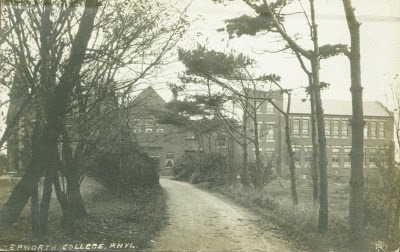 Epworth College, Rhyl, Flintshire, North Wales. On the declaration of war in August 1914, he enlisted with 5th London Rifle Brigade and after initial training travelled with the Battalion to Belgium. He was killed in action during the Battle of St. Julien (northern sector of the Ypres Salient). Battle of St. Julien 24 April 1915 to 4 May 1915 – Spurred on by the success of their gas attacks, the Germans struck again on the northern sector of the Ypres salient at St. Julien. Once more chlorine gas was used and despite a resolute defence the British and Canadians were pushed back and St. Julien was lost. For nearly two weeks the fighting continued on this front. The Germans persisted with their attacks, the British fought desperate rearguard actions and launched many counter attacks but gradually they were pushed further and further back. The 5th London (London Rifle Brigade) had arrived on the scene in the early hours of the morning of 26 April and had taken up positions at Wieltje, under orders from 1st Somerset Light Infantry. At midday the Germans began shelling their positions and at dusk, 5th London moved forward to fill the gap between 1st Hampshire and 1st Somerset Light Infantry. On 27 April, 5th London remained in the trench they had occupied the day before, facing the full might of the German Artillery which killed over 20 of their number, one being Private Percy. Private 9755 William Reginald Minshull Percy. His Captain wrote of him as a great loss. ‘ He was so cheery with a sort of Irish wit about him that made him excellent company’. One of his comrades wrote. ‘The whole Battalion was under heavy shell fire at the time and you will be glad to know that Reggie behaved magnificently during the whole period. He was in fact one of the most popular fellows in the platoon’. Another said.‘ Clean minded, high spirited, with a charm of manner that captivated all with whom he came into contact. He was the embodiment of joyous youth. The cruel eclipse of this bright life has cast a shadow which only the years in their course can lighten’. The Rhyl Journal – Saturday 15 May 1915 – More Rhyl Heroes. Mr & Mrs Percy of Bod Meurig, Rhyl, have received information that their son W R M Percy of the London Rifle Brigade, has been killed in action. The news was conveyed to them in a letter dated April 30th, from one of his comrades, in which he says, ‘I regret to inform you that my friend Reginald Percy was killed on the afternoon of the 28th inst. We were being bombarded very heavily when he was hit by shrapnel, death being instantaneous. At present I am unable to give you the whereabouts of the grave, but will do so at the earliest opportunity. Perhaps it will lighten the blow to you all to know that he was one of the most popular fellows in the platoon, and many of the men asked me to convey to you their deepest sympathy. I will write again at a later date, giving other particulars as I am only able to send this by special permission’. The late W R M Percy was one of about eighty old boys whose names appear on the Epworth College Roll of Honour, and a brother of his also figures on that roll. He proved one of the most brilliant and popular boys the college has known. Prior to joining the army he was in business in London. He had been out at the front since November 4th and his letter at Christmas time describing how along a section of the trenches British and German soldiers observing a truce and celebrated Christmas Day together was widely published and aroused extraordinary interest. Menin Gate Memorial, Ypres, Belgium. 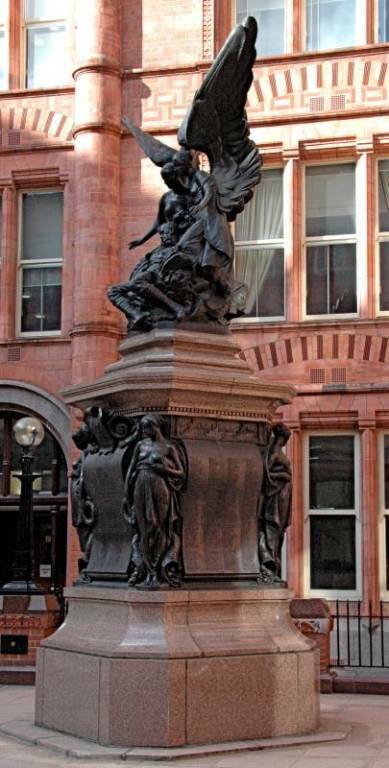 Private 9755 William Reginald Minshull Percy is also remembered on The Prudential Memorial, Holborn, London. On 3 August 1915, the War Office made a payment of £3. 1s. 5d. to Mr John Percy, being monies owed to his son William. On 10 July 1919, a further payment which was recorded as a War Gratuity of £3. 0s. 0d. was also made to him. 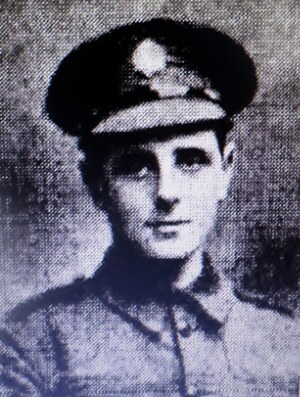 Private William Reginald Minshull Percy is also remembered on a Roll of Honour Plaque which was displayed at The County School, Grange Road, Rhyl. William Reginald Minshull Percy is also remembered on a Remembrance plaque at The Royal Alexandra Hospital, Marine Drive, Rhyl, Flintshire and on The North Wales Heroes Memorial Arch, Deiniol Road, Bangor, North Wales. 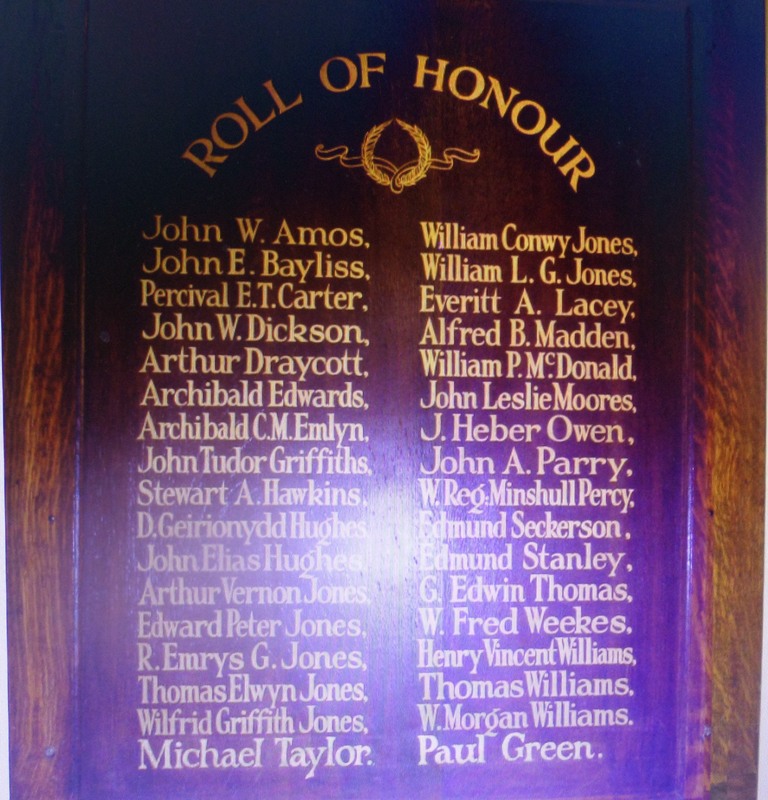 There is a Flintshire Roll of Honour Card for him at the County Archives Office, Hawarden, Flintshire, which was completed on 9 September 1919 by a J. Hughes.